Morning of 2019 Padres Opening Day! – Cool San Diego Sights! Morning of 2019 Padres Opening Day! 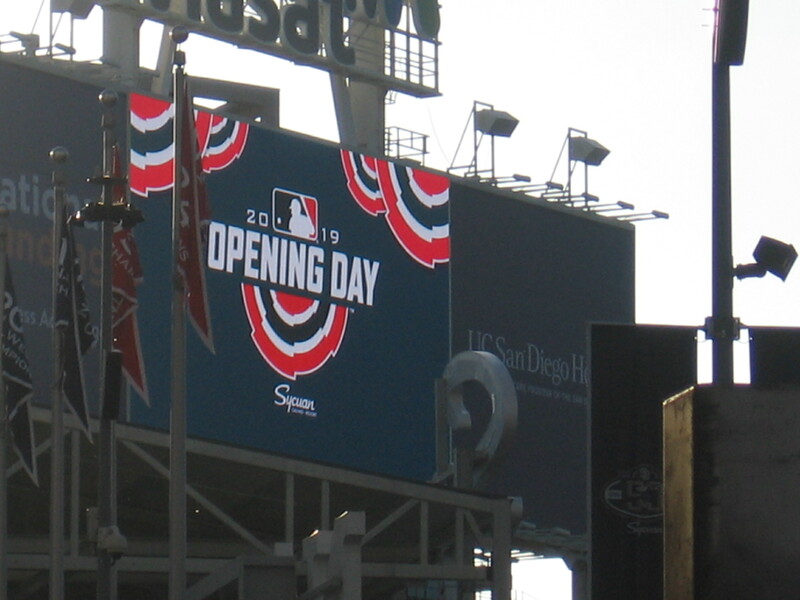 It’s the morning of 2019 Padres Opening Day! Things are beginning to get exciting around Petco Park! Optimism is sky high for this new season. It’s the 50th Anniversary of the San Diego Padres and the new roster is loaded with promising talent and baseball superstars! Here are some quick photos that I took while walking past the ballpark! Previous Previous post: Bright cherry blossoms, after the festival. Next Next post: The cool sculpture at Humphreys on Shelter Island.